A former prominent judge in the Caribbean province of Limón was sentenced Friday to 14 years in prison for issuing favorable rulings to drug traffickers. 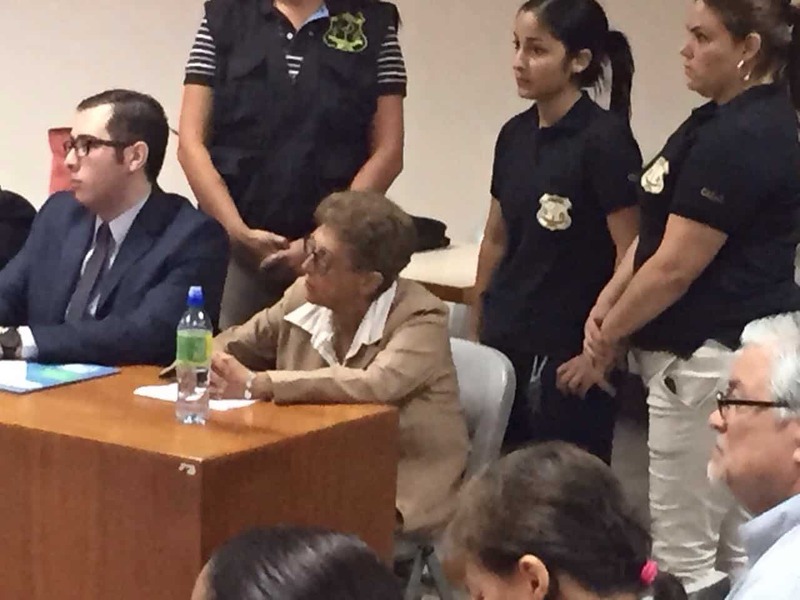 Rosa Elena Gamboa was arrested two years ago on suspicion that she influenced at least two cases involving alleged drug traffickers in 2011 and 2012. One of those cases involved a man who was arrested in 2012 with a ton of marijuana and later released on a ₡3 million ($5,500) bond. He skipped bail and disappeared. At the time of Gamboa’s arrest in May 2014, then Chief Public Prosecutor Jorge Chavarría said Gamboa, then a superior court judge, had been under investigation for three years. “[Gamboa] maintains relationships with people involved in drug trafficking in the region, and she has tried on at least two occasions to influence judges in the preliminary and intermediary phases of trials. In both cases, [Gamboa] approached the judges and quite openly told them the suspects should not go to jail,” Chavarría said in a press conference at the time. Gamboa, who was 62 when she was arrested, retired after the scandal broke. She was convicted Friday in a Goicoechea courtroom for attempted graft and violation of drug laws.